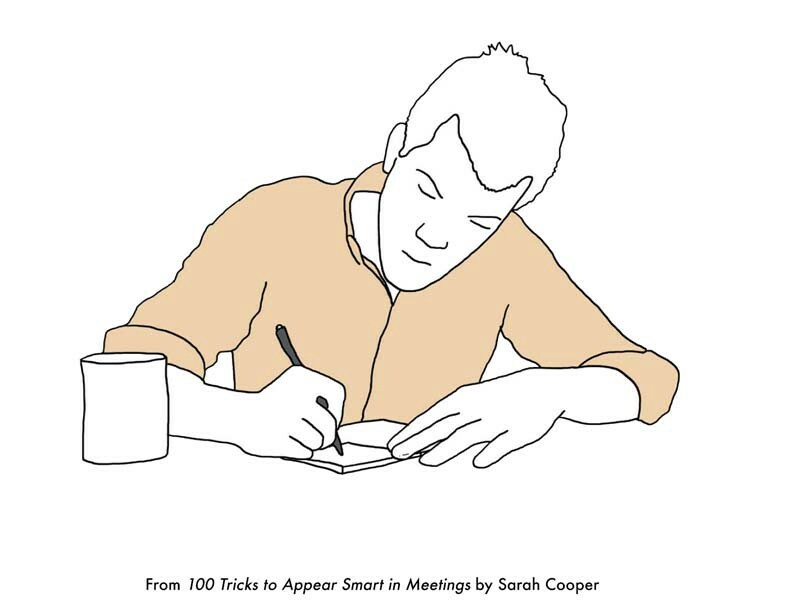 The following is an excerpt from my new book, 100 Tricks to Appear Smart in Meetings — out now! Get it here. In a brainstorming meeting, the pressure of coming up with incredible new ideas can be debilitating. Luckily, the last thing most corporations want is new ideas. Here are 9 tricks to make you look like you’re the creative force on your team. Just before the meeting starts, get up and ask if anyone needs anything. People will think you’re so thoughtful, kind, and giving, plus you’ll be able to disappear for 10 minutes no questions asked. Even if no one wants anything, return with bottles of water, soda, and snacks. 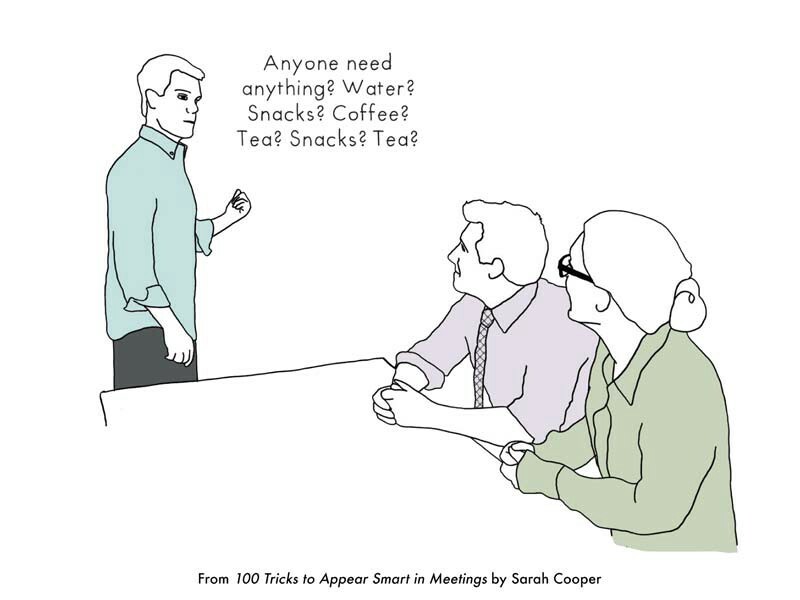 Your colleagues will feel compelled to start drinking and snacking, and your foresight will make them think you can really predict the future. While the topics are being introduced, grab one of those sticky note pads and start drawing meaningless flowcharts. Your colleagues will look over at you with worried interest, wondering how you’re coming up with so many complex ideas even before you know what this meeting is for. When everyone is trying to define the problem, make an analogy about baking a cake, or something just as completely unrelated. 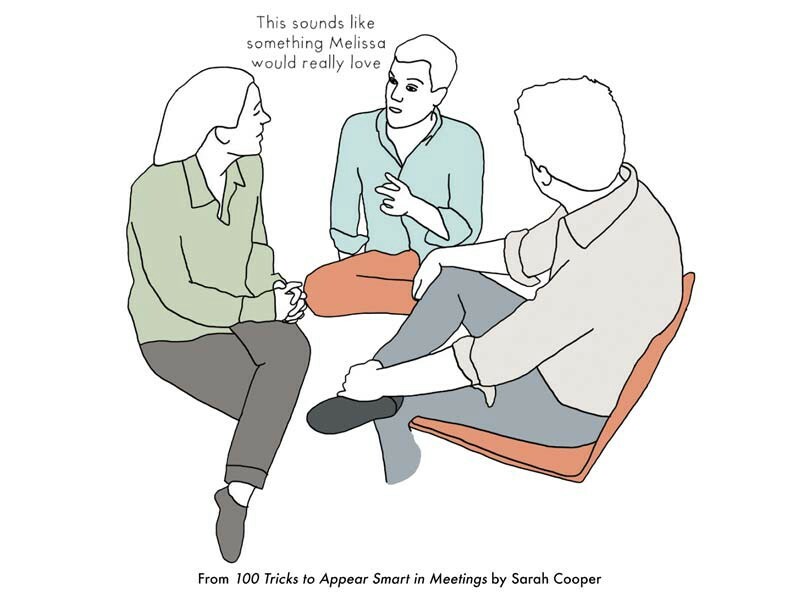 Your colleagues will nod their heads in agreement, even if they really don’t understand how what you’re saying is related to what they’re talking about. 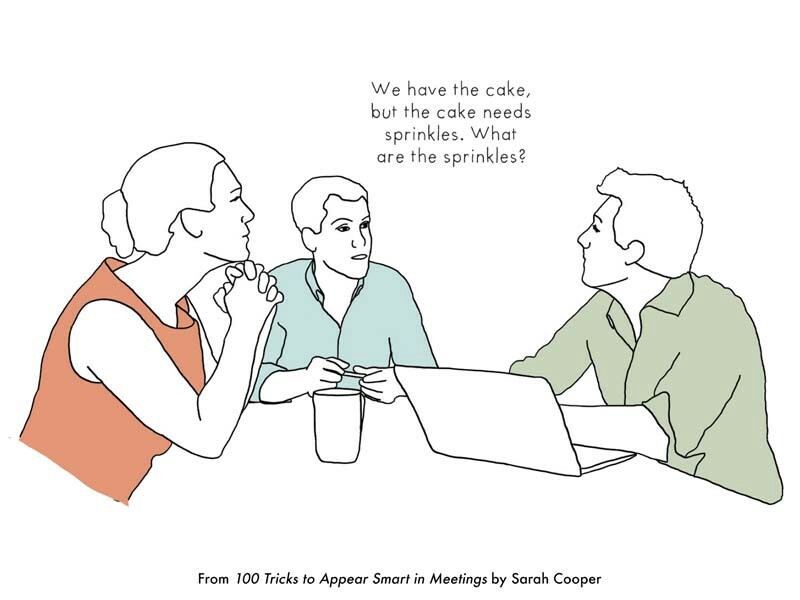 Talking completely over their heads will make you seem wildly transcendent and intimidatingly creative, even though the truth is you really just like cake. Nothing makes you seem smarter than when you question the questions by asking if they’re the right questions. If someone responds by asking you what you think the right questions are, say you just asked one. 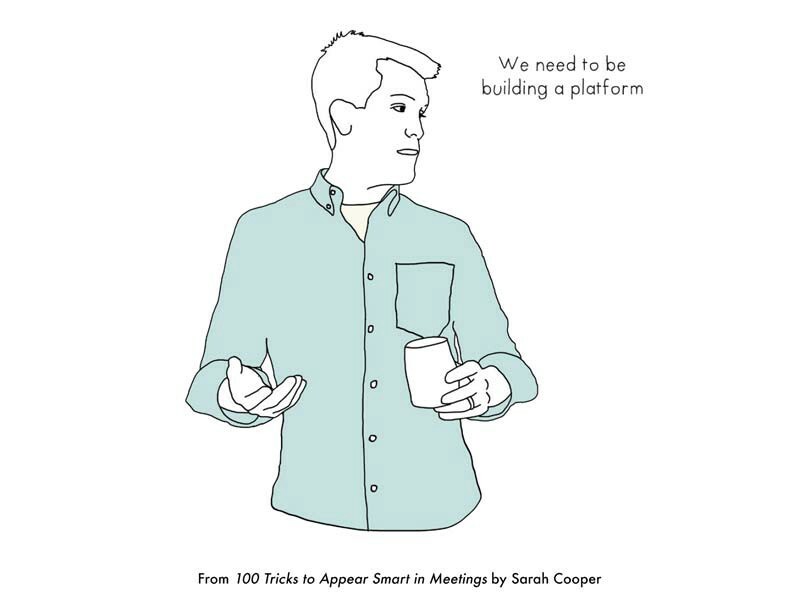 Wonder if an idea seems too small so your colleagues see you as a big thinker and a gamechanger. But how is it disruptive? But isn’t Apple doing that? • Isn’t that gilding the lily? • Isn’t that putting lipstick on a pig? • Seems like we’re polishing a turd. 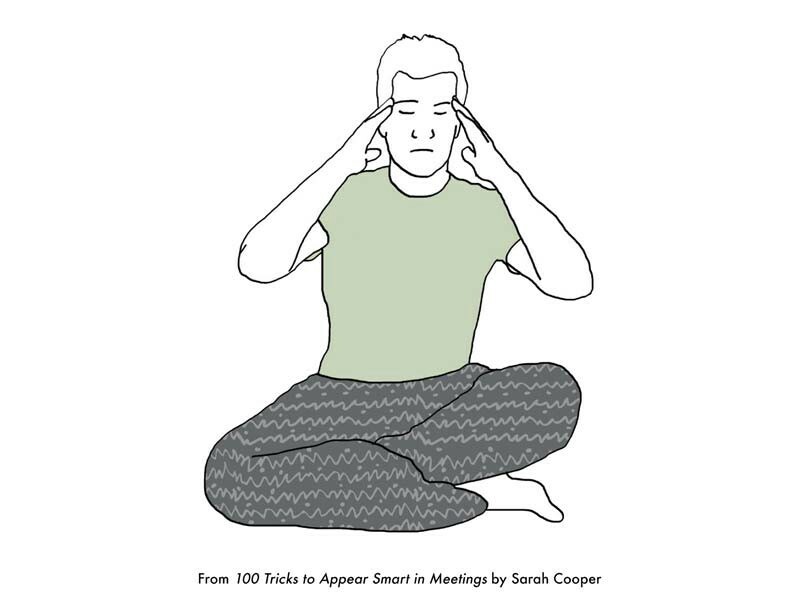 Develop a quirky habit that ‘helps you think’ and ‘gets your creative juices flowing.’ This could be anything from showing up in your pajamas, meditating on the floor, jogging on the spot, throwing a ball against the wall, air drumming with your favorite drumsticks, or all of those things at the same time. 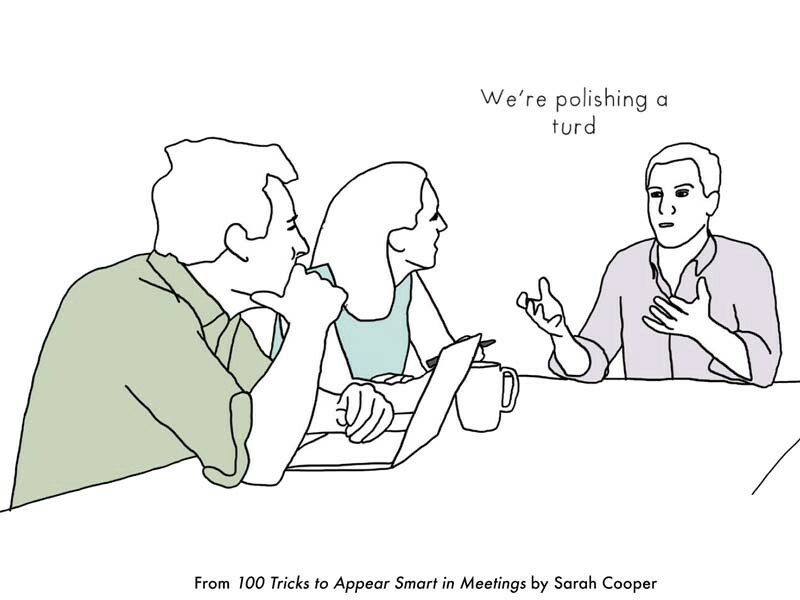 Even if you’re not actually coming up with any ideas, your colleagues will be intimidated by your uncontrollable creative energy. Wonder if an idea seems too big so your superiors see how much you care about company resources. How does this fit into the roadmap? This seems like a pivot. Isn’t that out of scope? But how would you test that? Make your colleagues think that you have a very close relationship with the CEO by bringing up how you think she would respond to an idea. Mention your CEO by her first name. Say you might run this by her during your next powwow. Congratulate everyone for coming up with something she’d like. By associating yourself so closely with the CEO, people will start to think of you as some kind of CEO-in-training. You will always appear as if you’re thinking bigger than everyone else by bringing up a framework for moving forward, or a model of thinking, or how we can turn this into a platform. It’s a very meta way of blowing everyone’s minds and masking the fact that you have no idea what everyone’s talking about. There’ll come a point when everyone seems to be really excited about an idea or direction. 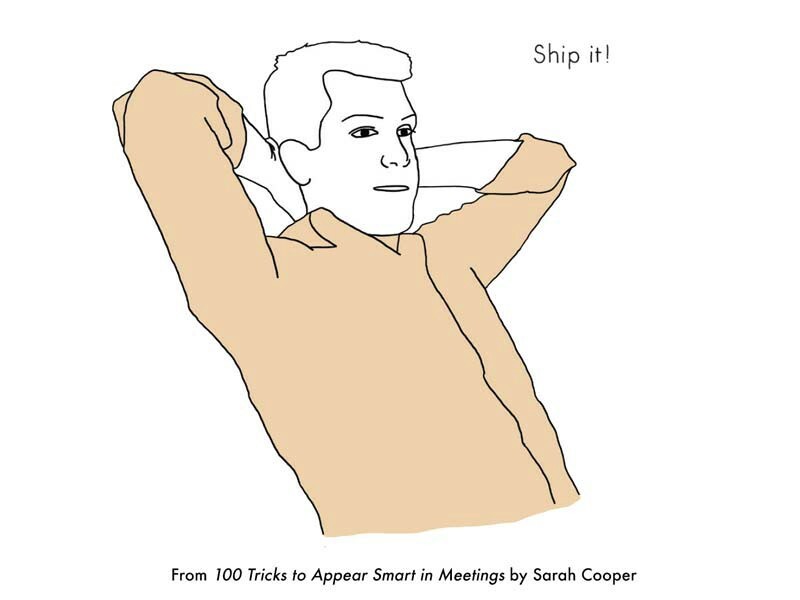 At this point you should try to be the first person to yell out ‘Ship it!’ Sure, it’s a funny thing to say that will make people laugh, but doing this will also convey some authority on your part to both end the meeting and make a final decision, even though you have no power to do either. 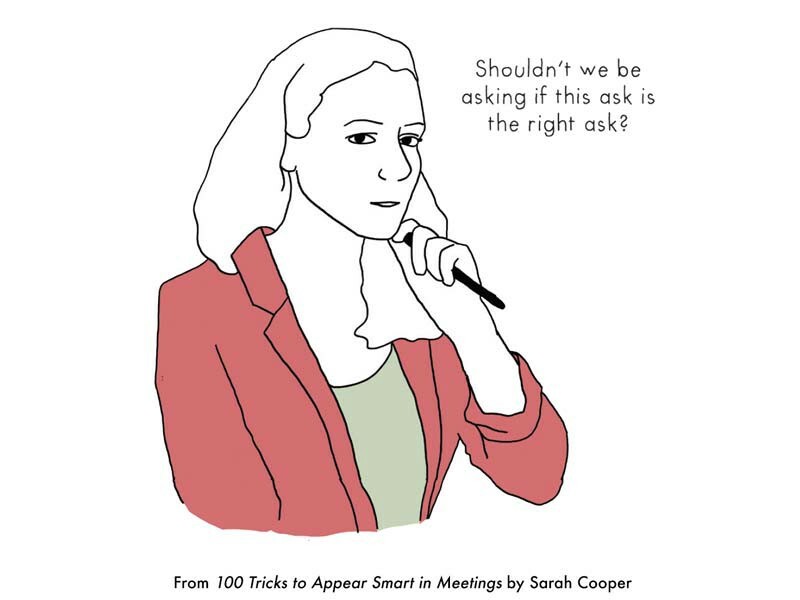 100 Tricks to Appear Smart in Meetings is out now! Order it here and read more at 100Tricks.com. Sarah Cooper is a writer, comedian and creator of satirical blog TheCooperReview.com. She was previously the design lead for Google Docs and is now a writer and speaker on corporate and tech humor. You can find her on Twitter, Facebook and Instagram.